Manta and devil rays are among the most charismatic creatures in our oceans. Manta rays have the largest brain of all fish and their intelligence and curiosity make encounters with these animals a truly amazing experience. Despite their popularity with divers and snorkelers, many aspects of their lives remain a mystery. More worryingly, targeted and bycatch fisheries for these animals have had devastating impacts on populations around the world. Mantas are some of the largest and most intelligent animals in the sea. Their complex behaviours set them apart from other fish, but much of their lives remain a mystery. Formed in 2011, the Manta Trust is a UK-registered charity that co-ordinates global mobulid (manta and devil ray) research and conservation efforts. The Manta Trust’s mission is to conserve mobulid rays, their relatives, and their habitats, through a combination of research, education and collaboration. 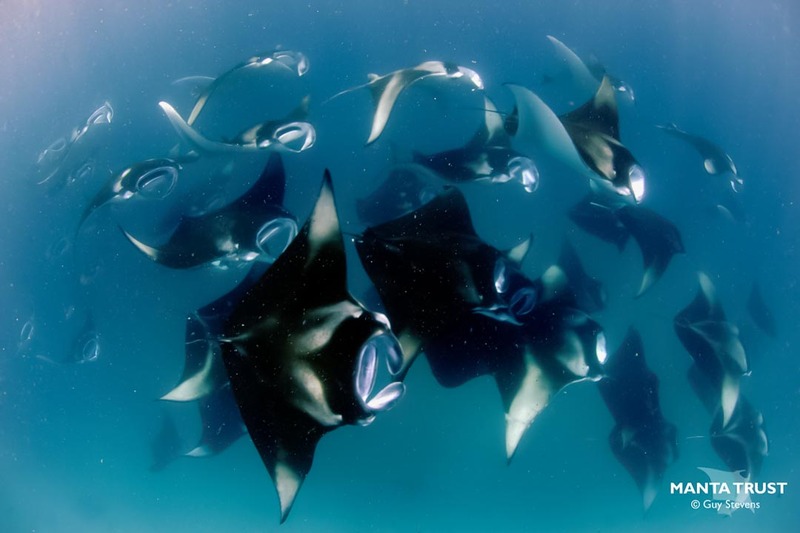 Co-founded by Dr Guy Stevens, marine biologist, and Thomas P. Peschak, award-winning National Geographic photographer, the Manta Trust team is comprised of a diverse group of researchers, scientists, conservationists, educators and media experts; working together to share and promote knowledge and expertise. Our goal is a sustainable future for the oceans where manta rays and their relatives thrive in healthy, diverse marine ecosystems. Since its inception, the Manta Trust’s global network has positioned itself as the leading authority on mobulid rays and has been responsible for several critical achievements that have improved the conservation status of these vulnerable animals. The charity was borne out of the work of the Maldivian Manta Ray Project (MMRP), which was run by Dr. Stevens at Four Seasons Landaa Giraavaru from 2006-2011 and has now evolved into one of the largest and longest-standing manta conservation groups in the world. 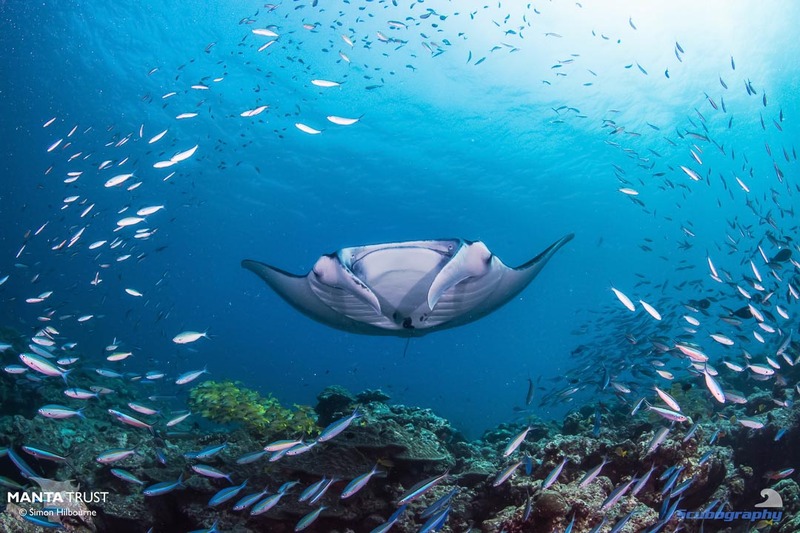 Its goal is to learn more about the life cycle, population dynamics and habitat usage of the Maldivian manta population, whilst also working with the government, tourists, local communities and tour operators to create greater appreciation and protection for these ocean giants and their habitat. 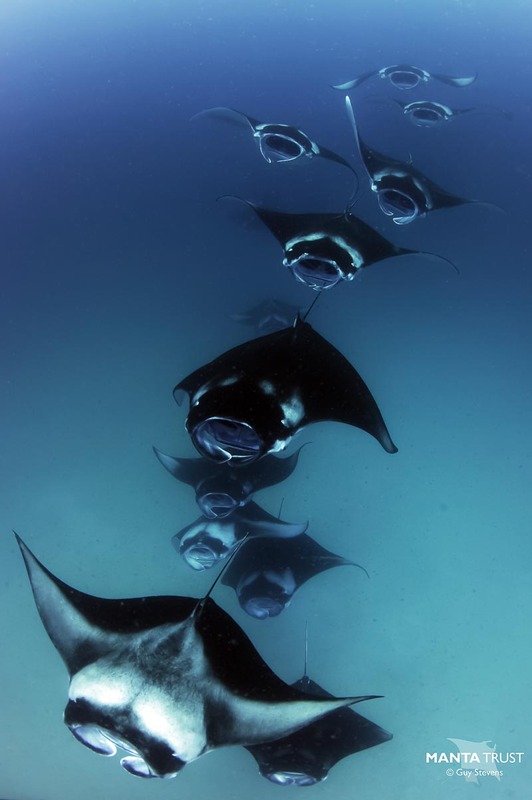 The MMRP plays a key role in gaining protection for manta rays in the Republic of the Maldives. 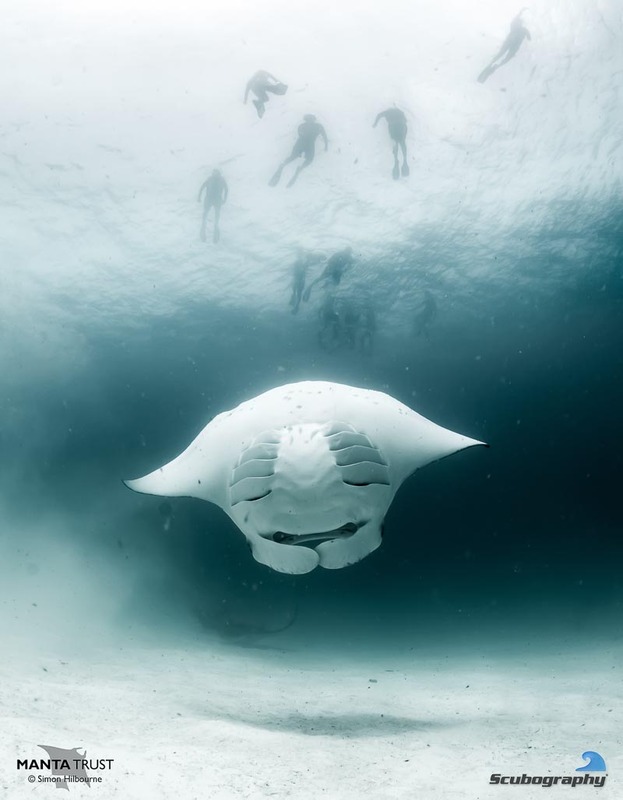 For example, data it collected identified an increase in pressure and threats to mantas from unrestricted tourism growth and local development which led to the government declaring Hanifaru Bay a Marine Protected Area in 2009. Hanifaru Bay in Baa Atoll is an important aggregation site for reef manta rays and whale sharks. The Manta Trust also contributed critical data and expertise for the re-assessment to “Vulnerable” status of both species of manta on the IUCN Red List of Threatened Species in 2011. Following this re-assessment, their collaborative efforts with researchers and other NGOs have seen all mobulid species granted legally-binding international protection in the trade of products sourced from their body parts, under Appendix II of CITES (Convention on International Trade in Endangered Species). Addressing the community transition and livelihood challenges that result from change in mobulid trade legislation and fishery management is now a key focus for the Manta Trust. Want to meet some of the Manta Trust team or learn more about their research? Manta Trust researchers and volunteers are based at Four Seasons Resort Landaa Giraavaru, where resort guests are invited to accompany the research team on-board the manta research vessel departing from the resort most days during the manta season (June-November).